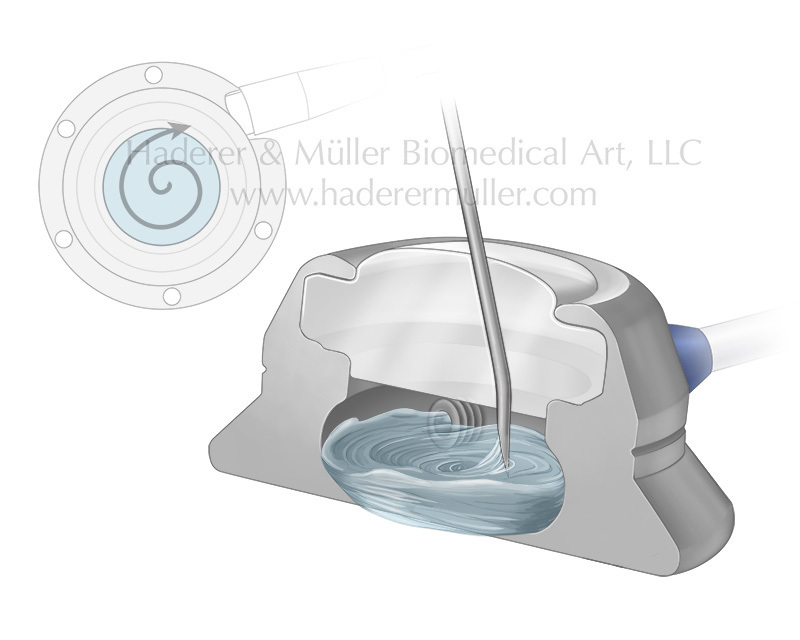 This cross-sectional view of Angiodynamics’ Vortex® Port demonstrates the product’s round chamber designed to increase flushing and resist sludge build-up. Ports (portacaths) are surgically implanted below the skin to allow for repeated injection or blood sampling by syringe. The syringe penetrates the septum on the surface of the port just beneath the skin. The attached catheter connects the port to a vein.